ST. PAUL - Hundreds of abortion opponents gathered at the Minnesota State Capitol Jan. 22 to commemorate the 46th anniversary of the U.S. Supreme Court’s landmark decision in Roe v. Wade, the 1973 U.S. Supreme Court decision that legalized abortion in the United States. The annual March for Life is sponsored by Minnesota Citizens Concerned for Life. Marchers also attended the ecumenical prayer Service for Life at the Cathdral of St. Paul, which took place right before the march. St. Paul and Minneapolis archbishop, Bernard Hebda led the prayer service and he was joined by Bishop Paul Sirba of Duluth. The prayer service was organized by the archdiocesan Office of Marriage, Family, and Life. 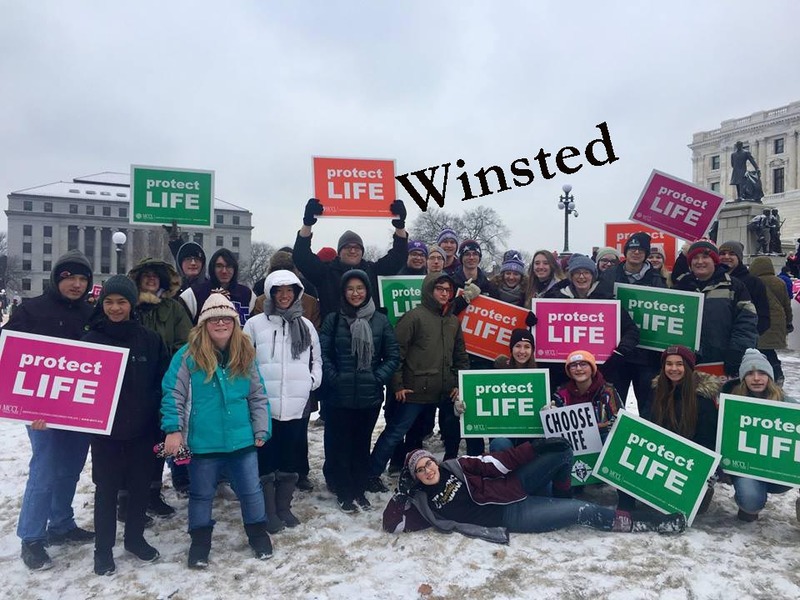 Several parishes and schools in the Diocese of New Ulm sponsored bus transportation (both adult and student) to the march including Holy Trinity Catholic School, Winsted and Cathedral of the Holy Trinity, New Ulm. Bus ride to the march included the Rosary led by the youngest of the passengers.